Acro-yoga is non-denominational, combines the benefits of yoga, and the fun of partner acrobatics! Children are encouraged to have fun and explore their own bodies in a playful, supportive environment. Acroyoga is an extension of the many yoga poses presented in an exciting way to experience a partnership that builds trust, cooperation and concentration. We work with 3 people covering the 3 main roles of base, flyer and spotter. The base supports the weight of the flier. The spotter's primary role is to ensure the safety of the base and flyer and can act as coach and assistant. The flyer feels on top of the world and enjoys the freedom of an open heart and feels courageous. 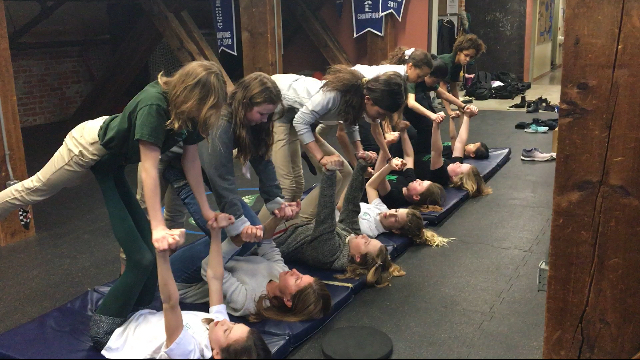 The kids will gain strength and flexibility, while working together in unison developing CONFIDENCE and TRUST. Relaxation is also going to be a very important element of the practice where the kids will learn how to connect with their BREATH and feel calm. Also included is a basic Thai Massage at the end of every class. 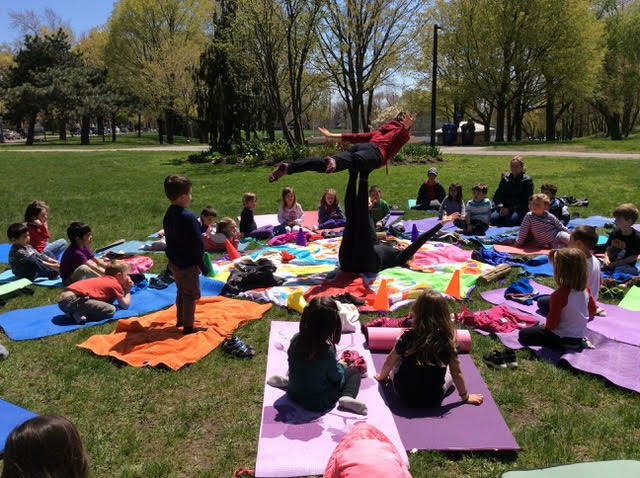 Kids created their own Yoga Club! 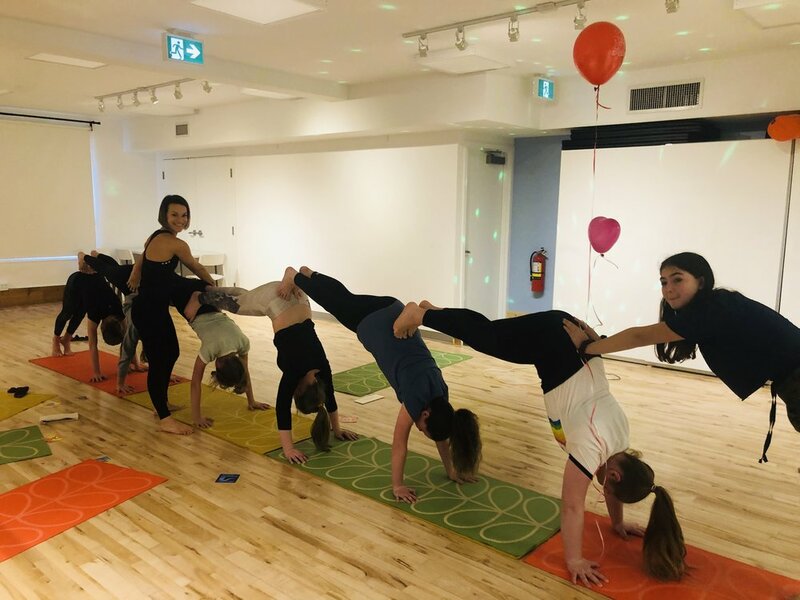 Acro-Yoga Bday parties are so much fun! — MS LY, GRADE 2/3 TEACHER AT V.I.S.